Tonight Prince Harry and Meghan Markle, an American actress are married and officially the Duke and Duchess of Sussex. Millions watched the royal marriage broadcast “live” early this morning or replays of it on national television networks today. 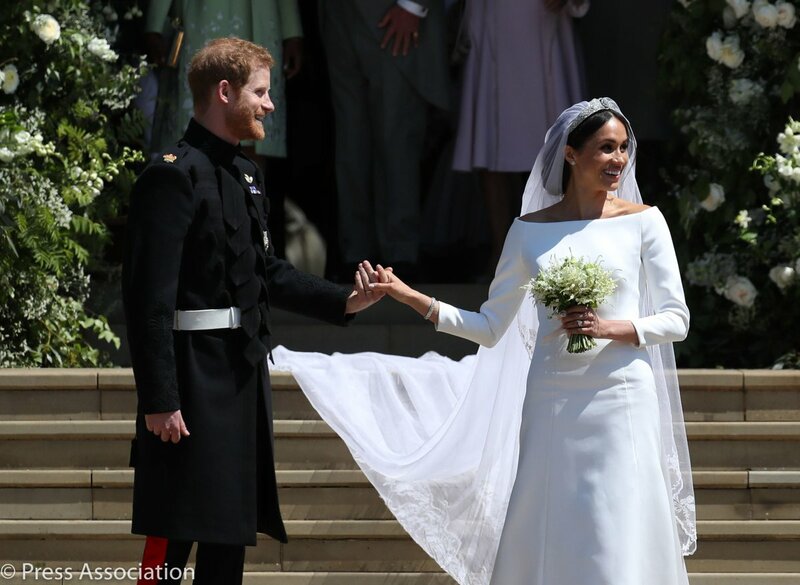 The fairytale royal wedding had glamor, celebrity guests, traditional hymns, classical music, sermon messages and the uplifting song “Stand by Me” performed by Karen Gibson and the Kingdom Choir. 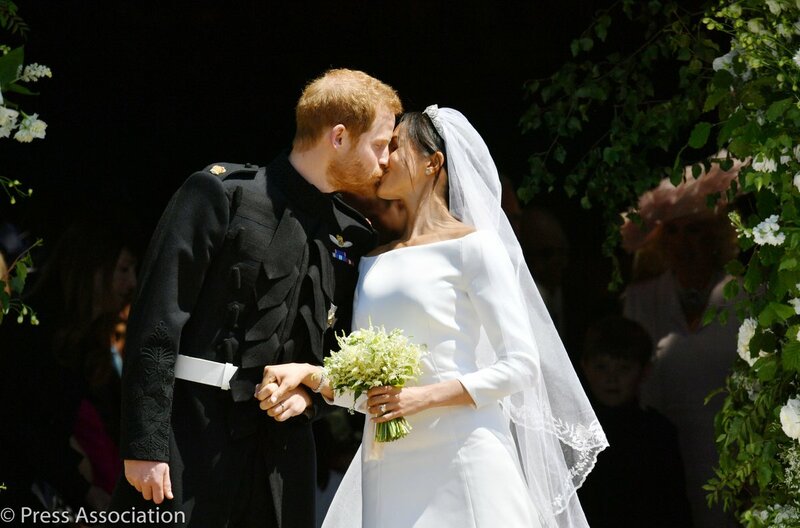 Thousands packed the town of Windsor, England to catch a glimpse of the royal newlyweds in a carriage procession after they married at Windsor Castle on Saturday, May 19, 2018. The couple smiled and waved to the cheering crowds along the route. Claire Ptak designed the light sponge wedding cake. It also has elderflower syrup made from elderflower trees on Queen Elizabeth’s estate in Sandringham. Elton John performed at the luncheon reception. 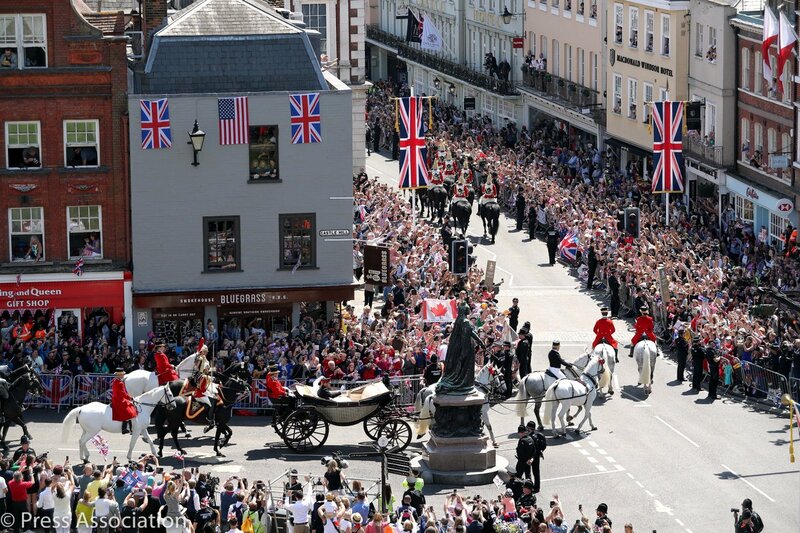 “From the Commonwealth and beyond: Thank you to the amazing crowds in Windsor for the incredible reception for the newly-married Duke and Duchess of Sussex,” Kensington Palace tweeted. The Duke and Duchess of Sussex ask people to donate to their chosen charities, instead of sending wedding gifts. 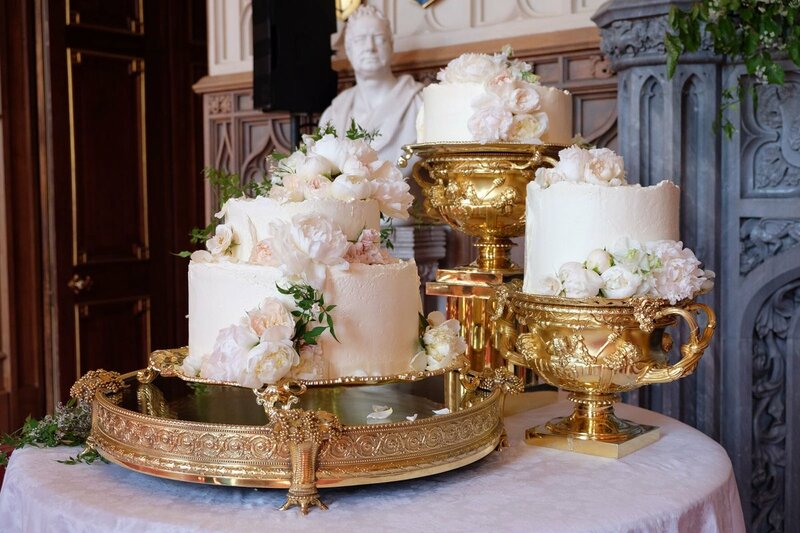 This entry was posted in Celebrations and Weddings, National News, World News and tagged Prince Harry and Meghan Markle Marry, Royal Wedding. Bookmark the permalink.